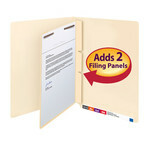 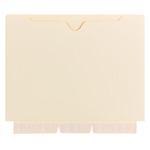 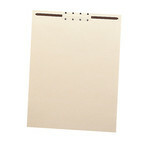 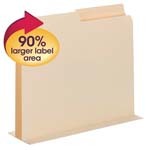 Provide additional organization in any file folder with easy-to-install Smead folder dividers. 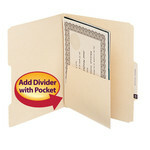 Use to divide paperwork within the folder. 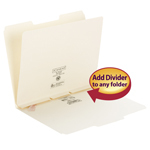 Add self-adhesive or twin-prong fasteners to dividers to create additional filing surfaces. 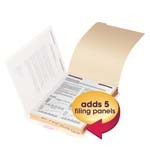 Classify papers in up to four categories when used in standard fastener folders.